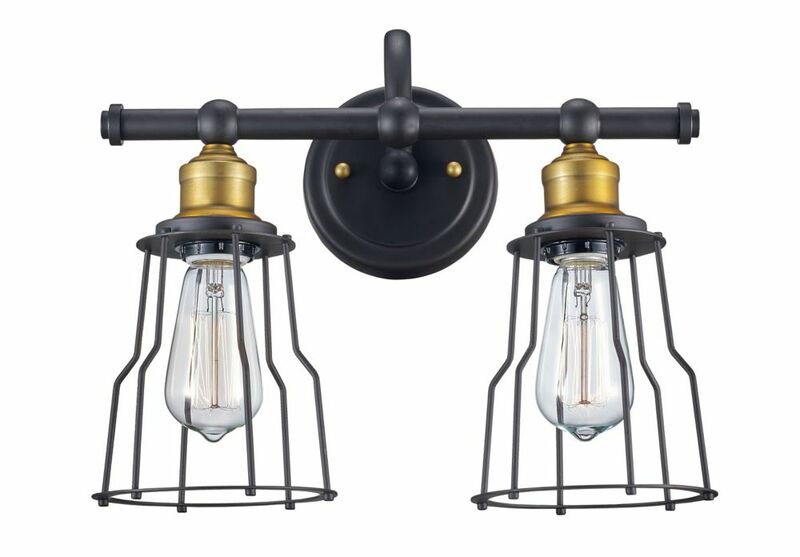 2-Light Oil Rubbed Bronze Vanity Light This 2 light vanity highlights metal wire shades to match urban dicor. The vanity bar can be mounted up or down to suit your personal style. The fixture is finished in ORB and Gold which matches most home styles. 2-Light Oil Rubbed Bronze Vanity Light is rated 4.0 out of 5 by 1. Rated 4 out of 5 by Brad from Nice look for a good price The fixture was good. My only concern was not being able to purchase bright enough Edison lightbulbs at Home Depot. You need to ensure that you can find bright enough bulbs. 40-60 watt Edison bulbs are not very bright.